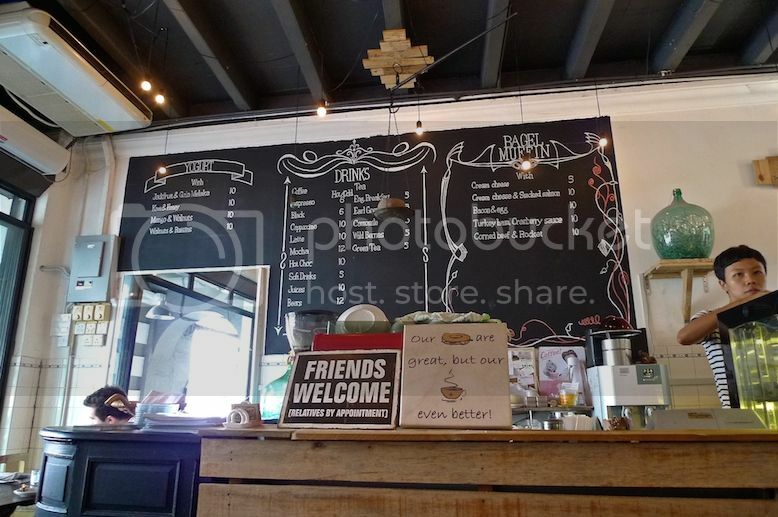 During my third day in Penang, I went to The Mugshot Cafe for breakfast. Located at Chulia Street next to the Rainforest Bakery, The Mugshot Cafe is famous for their bagel muffins. This cafe seemed to be a hit with a lot of Western tourists. I was actually surrounded by them! The menu appeared to be rather limited with just yogurt, bagel muffins and drinks. I started my breakfast with healthy yogurt! 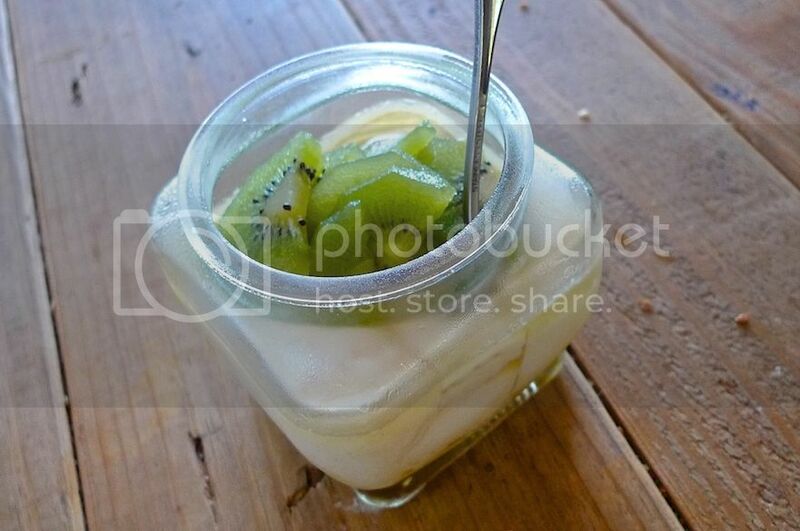 There were many varieties of yogurt - particularly interesting was Jackfruit with Gula Melaka (palm sugar) - but I chose the Kiwi & Honey Yogurt. 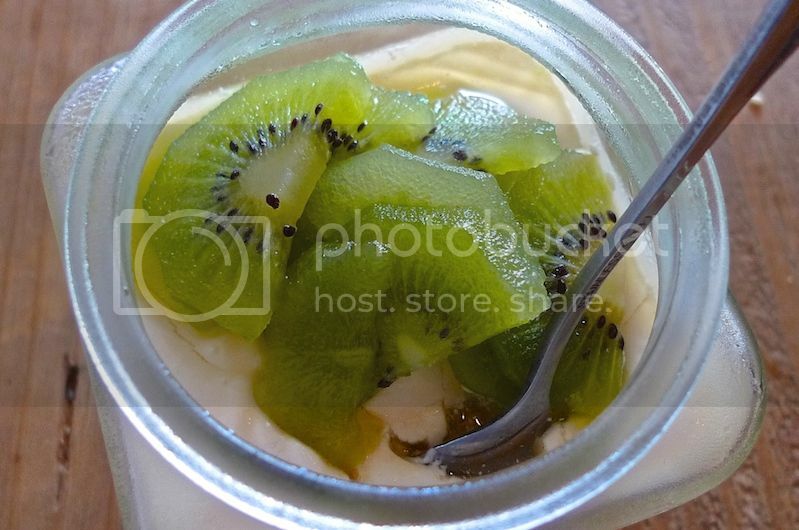 Priced at RM10 (US$3.15), this Kiwi & Honey Yogurt was yummy! It was sweet and sour at the same time which was exactly what I like! I saw a Caucasian lady at the next table eating yogurt with walnuts and raisins, which looked really delicious. I must return here next time for that! Oh, and the Jackfruit with Gula Melaka yogurt too! There were also a few varieties of the Bagel Muffins, but I decided to choose the Bagel Muffin with Bacon and Egg. 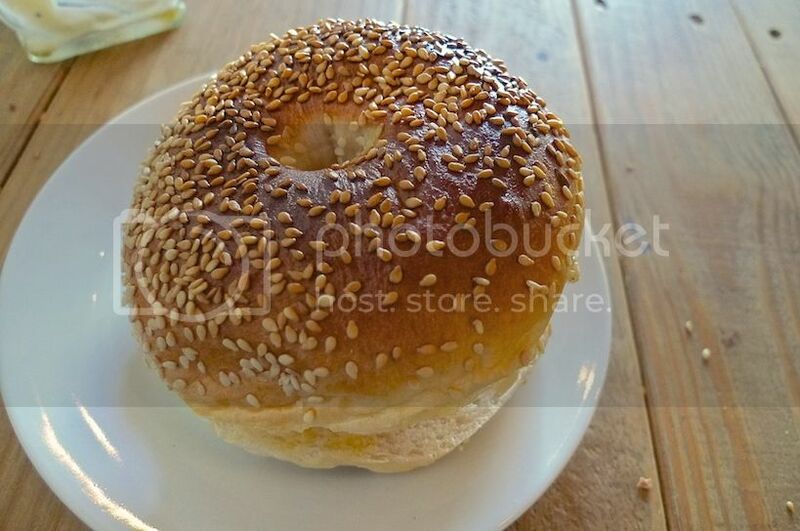 Priced at RM10 (US$3.15), this bagel muffin came with a crispy outer layer which was filled with lots of sesame seeds! 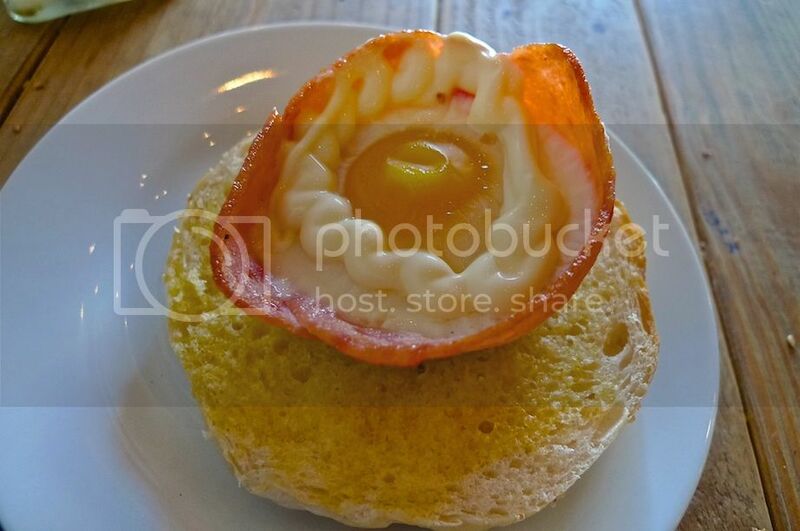 The bacon and egg inside made it looked rather interesting, with the bacon forming a cup that holds the egg and mayonnaise sauce inside. Perhaps next time I will return for their Bagel Muffins with cream cheese and smoked salmon. Or corned beef and rocket. Certainly could make a few more trips to this cafe. I did not order any coffee or tea to go with my breakfast meal - can't remember why though. Perhaps I was not in the mood for any drinks! Or perhaps I figured that if I were to add in a cup of Cappuccino, my total bill would have reached RM30 (US$9.45) which would simply be too pricey for a simple breakfast! 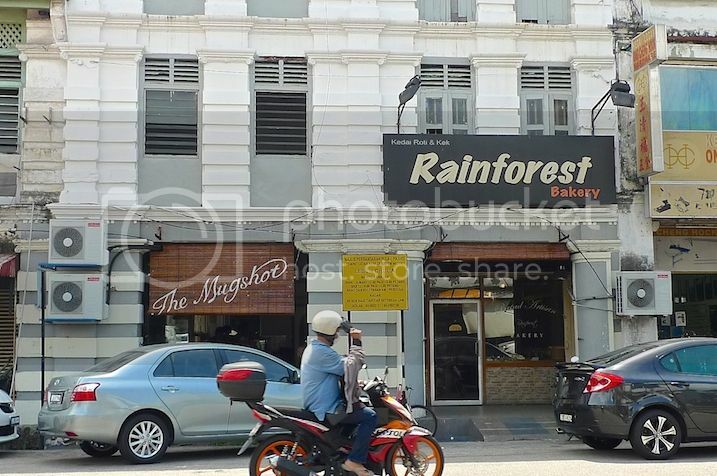 After my breakfast at the Mugshot Cafe, I went next door to check out the Rainforest Bakery. Surprisingly, the Rainforest Bakery also sells bagel muffins! I did not buy any though as I think one bagel muffin is more than enough for the day.